My name is Yana. I was born and grew up in Moscow, and moved to Paris in 2014 where I now live and practice with my husband. I discovered yoga for the first time in 2007 while studying in Moscow Architectural University, and from that moment my interest for yogic philosophy and my practice itself have been ever growing. After a few years of intensive practice, I followed a one year long teachers course, and decided to stop my work as an architect in order to dedicate myself fully to the practice and teaching of yoga. Since 2013 I follow the traditional method of Ashtanga Yoga as taught by Sri Krishna Pattabhi Jois in my daily practice, and since 2014 I study with Sharath R. Jois at the Shri K. Pattabhi Jois Ashtanga Yoga Institute in India, where I travel every year. In 2018 Sharath Ji gave me his autorisation to teach Ashtanga yoga. In 2018 I completed a professional training in Yogatherapy at the Institut of Traditional Health Care in Moscow. This course focuses on the application of yogic techniques for the treatment of articular and musculo-skeletal conditions (back pains, scoliosis, knee injuries, etc.) and chronic diseases. Practicing with Sharath Jois R. since 2014. Following Eddie Stern’s workshops and teachings since 2014. In 2012 completed a one year teacher training in Hatha Yoga, at the Ashtanga Yoga Center of Moscow. This course covered the study of Yoga history and philosophy, the practice of asanas, and an introduction to different styles of Yoga practice i.e Ashtanga, Iyengar, Kundalini. It also included studies of anatomy and physiology with the medical doctors practicing yoga, to allow safe practice and adjustment. In 2012 followed a children Yoga training with Jo Manuel, who has developed a unique method to work with kids. In 2015 followed an intensive Training with Gerald Disse and Linda Munro in Paris. 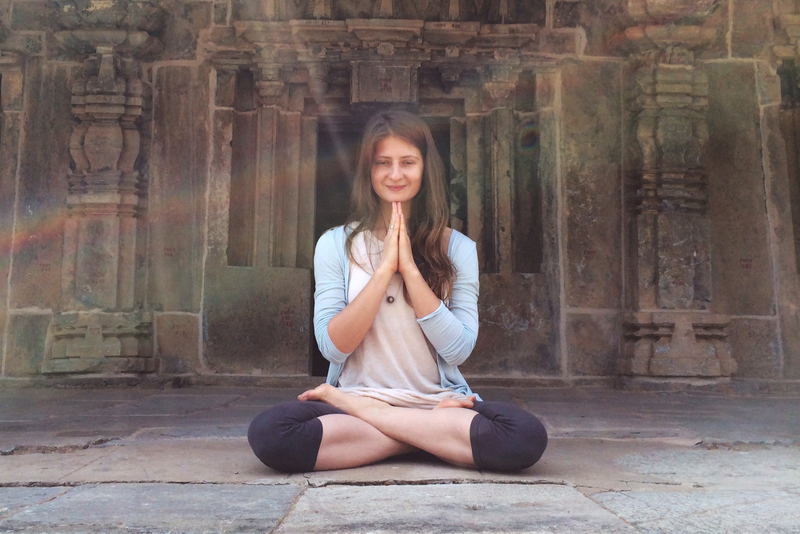 This entry was posted in Uncategorized and tagged ashtanga, in paris, kpjayi, kpjayi autorized ashtanga teacher, mysore, russian ashtanga yoga teacher, russian yoga teacher, yana komarnitskaya, yoga. Bookmark the permalink.